The intelligentsia status-class arose in the late 18th century, in Russian-controlled Poland, during the age of Partitions (1772–95). In the 19th century, the Polish intellectual Bronisław Trentowski coined the term intelligentcja (intellectuals) to identify and describe the educated and professionally-active social stratum of the patriotic bourgeoisie who could be the cultural leaders of Poland, then under the authoritarian régime of Russian Tsarist autocracy, from the late 18th-century to the early 20th century. In Russia, before the Bolshevik Revolution (1917) the term intelligentsiya described the status class of educated people whose cultural capital (schooling, education, enlightenment) allowed them to assume practical political leadership. In practice, the status and social function of the intelligentsia varied by society. In Eastern Europe, intellectuals were deprived of political influence and access to the effective levers of economic development; the intelligentsia were at the functional periphery of their societies. Whereas in Western Europe, especially in Germany and Great Britain, the Bildungsbürgertum (cultured bourgeoisie) and the British professions had defined roles as public intellectuals in their societies. The philosopher Karol Libelt identified the intelligentsia status-class as associated with social progress, yet willing to work for the State. The Russian writer Pyotr Boborykin defined the intelligentsia as the managers of a society and as the creators of high culture. In Europe, the intelligentsia existed as a status class (social stratum) before the coinage of the term intelligentsia (the intellectuals) in the 19th century. In their status-class functions, the intellectuals had involvement with the cultural development of cities, the dissemination of printed knowledge (books, texts, newspapers), and the economic development of rental-housing (the tenement house) for the teacher, the journalist, and the civil servant. As people whose professions placed them (physically, economically, and socially) outside the traditional places and functions of the town-and-country monarchic social-classes (royalty, aristocracy, bourgeoisie) of the time, the intelligentsia were an urban social-class. In his 2008 work The Rise of the Intelligentsia, 1750–1831, Maciej Janowski identified the intelligentsia as intellectual servants to the modern State, to the degree that their state-service policies decreased social backwardness and political repression in partitioned Poland. In the 1860s, the writer Pyotr Boborykin popularised the term intelligentsiya (Russian: интеллигенция) in Imperial Russia; he claimed to have originated the concept of the intelligentsia as a social stratum. The Russian word intelligentsiya derived from the German word Intelligenz (intelligence) and identified and described the social stratum of people engaged in intellectual occupations; moreover, Boborykin also expanded the definition of intelligentsiya (producers of culture and ideology) to include artists (producers of high culture). 10) periodic misunderstanding, rejection of each other by representatives of various groups of the intelligentsia, as well as a single squad, which is caused by bouts of selfishness and impulsivity (most often characteristic of artistic intelligentsia). 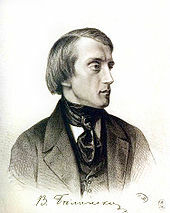 In 1844 Poland, the term intelligencja, identifying the intellectuals of society, first was used by the philosopher Karol Libelt, which he described as a status class of people characterised by intellect and Polish nationalism; qualities of mind, character, and spirit that made them natural leaders of the modern Polish nation. That the intelligentsia were aware of their social status and of their duties to society: Educating the youth with the nationalist objective to restore the Republic of Poland; preserving the Polish language; and love of the Fatherland. Nonetheless, the writers Stanisław Brzozowski and Tadeusz Boy-Żeleński criticised Libelt's ideological and messianic representation of a Polish republic, because it originated from the social traditionalism and reactionary conservatism that pervade the culture of Poland, and so impede socio-economic progress. Consequent to the Imperial Prussian, Austrian, Swedish and Russian Partitions of Poland, the imposition of Tsarist cultural hegemony caused many of the political and cultural élites to participate in the Great Emigration (1831–70). After the Invasion of Poland (1 September 1939), by Nazi Germany and the Soviet union, in occupied Poland each side proceeded to eliminate any possible resistance leader. In their part of occupied Poland, the Nazis began the Second World War (1939–45) with the extermination of the Polish intelligentsia, by way of the military operations of the Special Prosecution Book-Poland, the German AB-Aktion in Poland, the Intelligenzaktion, and the Intelligenzaktion Pommern. In their part of occupied Poland, the Soviet Union proceeded with the extermination of the Polish intelligentsia with operations such as the Katyn massacre (1940), during which university professors, physicians, lawyers, engineers, teachers, writers and journalists were murdered. The Russian intelligentsiya also was a mixture of messianism and intellectual élitism, whom the philosopher Isaiah Berlin described as: "The phenomenon, itself, with its historical and literally revolutionary consequences, is, I suppose, the largest, single Russian contribution to social change in the world. The concept of intelligentsia must not be confused with the notion of intellectuals. Its members thought of themselves as united, by something more than mere interest in ideas; they conceived themselves as being a dedicated order, almost a secular priesthood, devoted to the spreading of a specific attitude to life." The Idea of Progress, which originated in Western Europe during the Age of Enlightenment in the 18th century, became the principal concern of the intelligentsia by the mid-19th century; thus, progress social movements, such as the Narodniks, mostly consisted of intellectuals. The Russian philosopher Sergei Bulgakov said that the Russian intelligentsia was the creation of Peter, that they were the "window to Europe through which the Western air comes to us, vivifying and toxic at the same time." Moreover, Bulgakov also said that the literary critic of Westernization, Vissarion Belinsky was the spiritual father of the Russian intelligentsia. Although Tsar Peter the Great introduced the Idea of Progress to Russia, by the 19th century, the Tsars did not recognize "progress" as a legitimate aim of the state, to the degree that Nicholas II said "How repulsive I find that word" and wished it removed from the Russian language. In Russia, the Bolsheviks did not consider the status class of the intelligentsiya to be a true social class, as defined in Marxist philosophy. In that time, the Bolsheviks used the Russian word prosloyka (stratum) to identify and define the intelligentsia as a separating layer without an inherent class character. "In order to achieve a great object, an important social object, there must be a main force, a bulwark, a revolutionary class. Next it is necessary to organise the assistance of an auxiliary force for this main force; in this case this auxiliary force is the Party, to which the best forces of the intelligentsia belong. Just now you spoke about 'educated people.' But what educated people did you have in mind? Were there not plenty of educated people on the side of the old order in England in the seventeenth century, in France at the end of the eighteenth century, and in Russia in the epoch of the October Revolution? The old order had in its service many highly educated people who defended the old order, who opposed the new order. Education is a weapon the effect of which is determined by the hands which wield it, by who is to be struck down. Of course, the proletariat, socialism, needs highly educated people. Clearly, simpletons cannot help the proletariat to fight for socialism, to build a new society. I do not underestimate the role of the intelligentsia; on the contrary, I emphasize it. The question is, however, which intelligentsia are we discussing? Because there are different kinds of intelligentsia." In the late Soviet Union the term "intelligentsia" acquired a formal definition of mental and cultural workers. There were subcategories of "scientific-technical intelligentsia" (научно-техническая интеллигенция) and "creative intelligentsia" (творческая интеллигенция). Between 1917 and 1941, there was a massive increase in the number of engineering graduates: from 15,000 to over 250,000. In the post-Soviet period, the members of the former Soviet intelligentsia have displayed diverging attitudes towards the communist regime. While the older generation of intelligentsia has attempted to frame themselves as victims, the younger generation, who were in their 30s when the Soviet Union collapsed, has not allocated so much space for the repressive experience in their self-narratives. Since the collapse of the Soviet Union, the popularity and influence of the intelligentsia has significantly declined. Therefore, it is typical for the post-Soviet intelligentsia to feel nostalgic for the last years of the Soviet Union (perestroika), which they often regard as the golden age of the intelligentsia. Vladimir Putin has expressed his view on the social duty of intelligentsia in modern Russia. We should all be aware of the fact that when revolutionary—not evolutionary—changes come, things can get even worse. The intelligentsia should be aware of this. And it is the intelligentsia specifically that should keep this in mind and prevent society from radical steps and revolutions of all kinds. We've had enough of it. We've seen so many revolutions and wars. We need decades of calm and harmonious development. In contemporary usage, the denotations and connotations of the term Intelligentsia include the intellectuals and the managerial middle-class whose professional and societal functions are the creation, distribution, and application of knowledge throughout society. The sociologist Max Weber defined the intelligentsia as a major social category (status class), which is essentially distinct, in their social function, political attributes, and national interests, from the other social categories of society. In Economy and Society: An Outline of Interpretive Sociology (0000), Weber used the term intelligentsia in chronological and geographical frames of reference, such as "this Christian preoccupation with the formulation of dogmas was, in Antiquity, particularly influenced by the distinctive character of 'intelligentsia', which was the product of Greek education." In the 20th century, from the status-class term Intelligentsia, sociologists derived the term mass intelligentsia to describe the populations of educated adults, with discretionary income, who pursue intellectual interests by way of book clubs and cultural associations, etc. That sociological term was made popular usage by the writer Melvyn Bragg, who said that mass intelligentsia conceptually explains the popularity of book clubs and literary festivals that otherwise would have been of limited intellectual interests to most people from the middle class and from the working class. What [Karl] Marx could not anticipate . . . was that the anti-bourgeois intellectuals of his day were the first representatives of what has become, in our time, a mass intelligentsia, a group possessing many of the cultural and political characteristics of a [social] class in Marx's sense. By intelligentsia I mean those [people] engaged vocationally in the production, distribution, interpretation, criticism, and inculcation of cultural values. ^ "intelligentsia noun - Definition, pictures, pronunciation and usage notes". Oxford Advanced Learner's Dictionary. ^ Pascal Ory and Jean-François Sirinelli, Les Intellectuels en France. De l'affaire Dreyfus à nos jours (The Intellectuals in France: From the Dreyfus Affair to Our Days), Paris: Armand Colin, 2002, p. 10. ^ Williams, Raymond. Keywords: A Vocabulary of Culture and Society (1983) Rev. Ed., p. 170. ^ a b c Tomasz Kizwalter (Oct 2009). transl. by Agnieszka Kreczmar. "The History of the Polish Intelligentsia" (PDF file, direct download). Acta Poloniae Historica: 241–242. ISSN 0001-6829. Retrieved 16 December 2013. Jerzy Jedlicki (ed. ), Dzieje inteligencji polskiej do roku 1918 [The History of the Polish Intelligentsia until 1918]; and: Maciej Janowski, Narodziny inteligencji, 1750–1831 [The Rise of the Intelligentsia, 1750–1831]. ^ Billington, James H. Fire in the Minds of Men (0000), p. 231. ^ Oxford English Dictionary, p. 1387. ^ a b Malgorzata Szpakowska. "Dzieje inteligencji polskiej do roku 1918 [History of Intelligentsia Before 1918 in Poland]". Zeszyty Literackie (Literary Letters): 1 / 6. Retrieved 16 December 2013. Dzieje inteligencji polskiej do roku 1918 ed. by Jerzy Jedlicki. Vol. I: Maciej Janowski, Narodziny inteligencji 1750–1831; Vol. II: Jerzy Jedlicki, Błędne koło 1832–1864; Vol. III: Magdalena Micińska, Inteligencja na rozdrożach 1864–1918. Warsaw, Polish Academy of Sciences Institute of History – Neriton, 2008, s. 260, 322, 232. ^ Janowski, Maciej (2008). Jedlicki, Jerzy, ed. Birth of the Intelligentsia - 1750-1831: A History of the Polish Intelligentsia, Part 1. Geschichte Erinnerung Politik: Posener Studien Zur Geschichts-, Kultur- Und Politikwissenschaft. 7. Translated by Korecki, Tristan. Peter Lang Edition (published 2014). ISBN 9783631623756. Retrieved 2018-01-06. ^ Dr hab., Prof. UW Andrzej Szwarc (2009). "Kryteria i granice podziałów w badaniach nad inteligencją polską" [Criteria and Divisions in Research of Polish Intelligentsia]. Instytut Historyczny UW (University of Warsaw Institute of History). Archived from the original on 17 December 2013. Retrieved 16 December 2013. ^ Boy-Żeleński, T. (1932) Nasi okupanci | Our Occupants. ^ Fischer, Benjamin B. (1999–2000). "The Katyn Controversy: Stalin's Killing Field". Studies in Intelligence. CIA (Winter). Retrieved 3 August 2011. ^ Richard Pipes, Russia Under the Old Regime, p. 262. ^ Pipes, Richard. Russia Under the Old Regime p. 264. ^ Ascher, Abraham. The Revolution of 1905: Russia in Disarray, p. 15. ^ "Marxism Versus Liberalism". 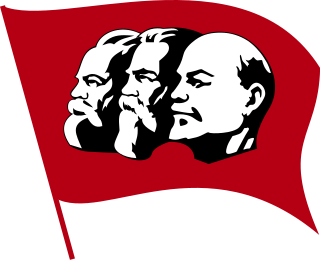 www.marxists.org. ^ Smith, Steve (1983). "Bolshevism, Taylorism and the Technical Intelligentsia in the Soviet Union, 1917-1941". Radical Science Journal (13): 3–27. ^ See Kaprans, M. (2010) "Retrospective Anchoring of the Soviet Repressive System: the Autobiographies of the Latvian Intelligentsia." In Starck, K. (ed.) Between Fear and Freedom: Cultural Representations of the Cold War. Cambridge: Cambridge Scholars Publishing. P. 193–206. ^ See Procevska, O. (2010). "Powerlessness, lamentation and nostalgia: discourses of the post-Soviet intelligentsia in modern Latvia." In: Basov, N., Simet, G.F., Andel, J. van, Mahlomaholo, S., Netshandama, V. (eds). The Intellectual: A Phenomenon in Multidimensional Perspectives. Oxford: Inter-Disciplinary Press. ISBN 978-1-84888-027-6. P. 47–56. ^ "Putin's most interesting quotes on Obama, gay rights and Syria". September 4, 2013. ^ "We think, therefore we are - FT.com". ^ Rockhill, Elena (2011). Lost To The State. Berghahn Books. p. 141. ISBN 978-1-84545-738-9. ^ "Melvyn Bragg on the rise of the mass intelligentsia". ^ Flacks, Richard (1973). Campus Power Struggle. Transition Books. p. 126. ISBN 978-0-87855-059-3. The record dated by February 2, 1836 says: "Через три часа после этого общего бедствия ... осветился великолепный Энгельгардтов дом, и к нему потянулись кареты, все наполненные лучшим петербургским дворянством, тем, которые у нас представляют всю русскую европейскую интеллигенцию" ("After three hours after this common disaster ... the magnificent Engelhardt's house was lit up and coaches started coming, filled with the best Peterburg dvoryanstvo, the ones who represent here the best Russian European intelligentsia.") The casual, i.e., no-philosophical and non-literary context, suggests that the word was in common circulation. An intellectual is a person who engages in critical thinking, research, and reflection about society, proposes solutions for its normative problems and gains authority as a public figure. Coming from the world of culture, either as a creator or as a mediator, the intellectual participates in politics either to defend a concrete proposition or to denounce an injustice, usually by rejecting, producing or extending an ideology, or by defending a system of values. Karol Libelt was a Polish philosopher, writer, political and social activist, social worker and liberal, nationalist politician, and president of the Poznań Society of Friends of Learning. Proletkult, a portmanteau of the Russian words "proletarskaya kultura", was an experimental Soviet artistic institution that arose in conjunction with the Russian Revolution of 1917. This organization, a federation of local cultural societies and avant-garde artists, was most prominent in the visual, literary, and dramatic fields. Proletkult aspired to radically modify existing artistic forms by creating a new, revolutionary working-class aesthetic, which drew its inspiration from the construction of modern industrial society in backward, agrarian Russia. The Polish minority in Ukraine officially numbers about 144,130, of whom 21,094 (14.6%) speak Polish as their first language. The history of Polish settlement in current territory of Ukraine dates back to 1030–31. In Late Middle Ages, following the extinction of the Rurikid dynasty in 1323, the Kingdom of Poland extended east in 1340 to include the lands of Przemyśl and in 1366, Kamianets-Podilskyi. The settlement of Poles became common there after the Polish–Lithuanian peace treaty signed in 1366 between Casimir III the Great of Poland, and Liubartas of Lithuania. Anti-intellectualism is hostility to and mistrust of intellect, intellectuals, and intellectualism commonly expressed as deprecation of education and philosophy, and the dismissal of art, literature, and science as impractical and even contemptible human pursuits. Anti-intellectuals present themselves and are perceived as champions of common folk—populists against political and academic elitism—and tend to see educated people as a status class detached from the concerns of most people, and feel that intellectuals dominate political discourse and control higher education. VOKS was an entity created by the government of the Soviet Union in 1925 to promote international cultural contact between writers, composers, musicians, cinematographers, artists, scientists, educators, and athletes of the USSR with those of other countries. The organization conducted tours and conferences of such cultural workers. Jan Wacław Machajski, pseudonym A. Wolski, was a Polish revolutionary whose methodology drew from both anarchism and Marxism whilst criticising both as being products of the intelligentsia. Intelligenzaktion was a secret mass murder conducted by Nazi Germany against the Polish intelligentsia early in the Second World War (1939–45). The operations were conducted to realise the Germanization of the western regions of occupied Poland, before territorial annexation to the German Reich. Chłopomania or Khlopomanstvo are historical and literary terms inspired by the Young Poland modernist movement and the Ukrainian Hromady. The expressions refer to the intelligentsia's fascination with, and interest in, the peasantry in late-19th-century Galicia and right-bank Ukraine. Pyotr Dmitryevich Boborykin was a Russian writer, playwright, and journalist. 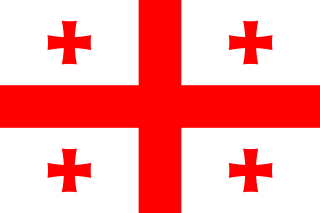 The beginning of Georgian nationalism can be traced to the middle of the 19th century, when Georgia was part of the Russian Empire. From being more culture-focused in the Imperial Russian and Soviet periods, it went through several phases, evolving into radical ethnocentric in the late 1980s and early in the post-Soviet independence years, and to a more inclusive and civic-oriented form in the mid-1990s. However, vestiges of ethnic nationalism remain among many Georgians.